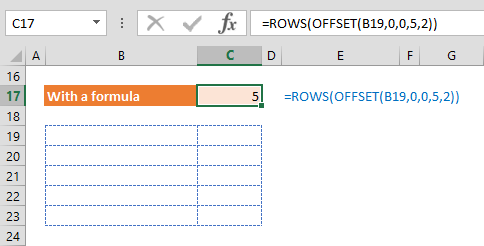 The Excel ROWS function is a Lookup & Reference formula that returns the number of rows in an array, an array formula, or a range of cells. 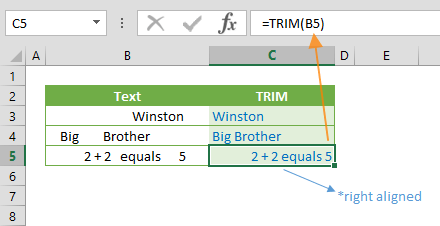 In this guide, we’re going to show you how to use the Excel ROWS function and also go over some tips and error handling methods. 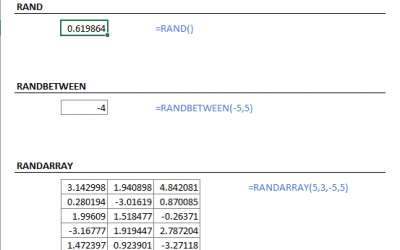 An array, an array formula, or a reference of a range of cells. formula returns 5 for the count of rows between rows 4 and 8. 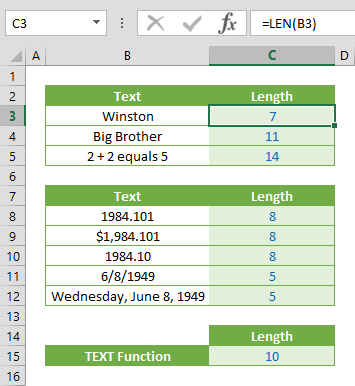 You can use the Excel ROWS function with an array or an array that returns a formula to make it dynamic. In our example, the OFFSET function returns an array values in the range B19:C23, which are used as the argument for the ROWS function. 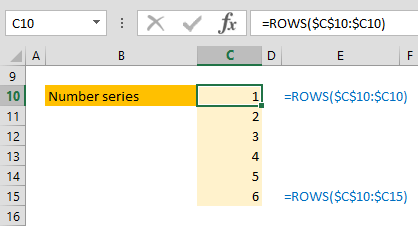 An alternative way of using the ROWS function is generating a number series. 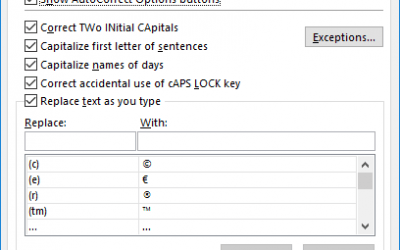 You can use an expanding reference as an array argument. 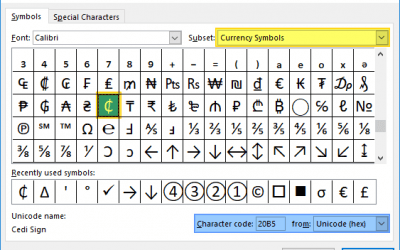 Expanding the range from $C$10:$C10 to $C$10:$C15 generates numbers from 1 to 6. 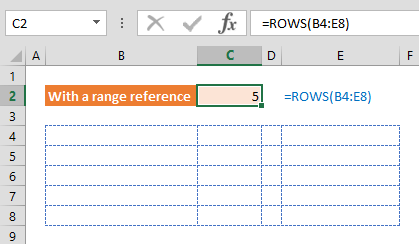 Use the ROW function if you need the number of row of a reference. 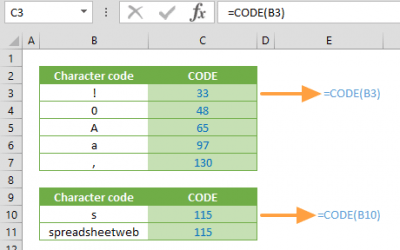 To get the count of columns of an array or range, use the COLUMNS function.